Sony's Xperia Tablet at the FCC? An unannounced arrival wound up at the Federal Communications Commission Thursday and suspicion is circling that it could be Sony's new Xperia Tablet. The device, filed at the FCC under model name SGPT1311, appears to be tablet hardware. The FCC reportedly granted Sony approval for Bluetooth, Wi-Fi and cellular connectivity. And while few other details - besides the revelation Foxconn is the device's manufacturer - came out, the prefix "SGP" matches filings made for Sony's Tablet P and Tablet S, a detail worth noting as consumers wonder when they'll see the company's newest tablet. 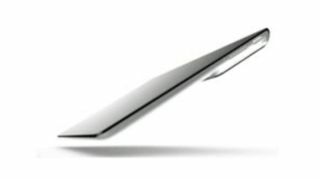 TechRadar first reported on Tuesday about the next-gen Sony Tablet S, the specs of which snuck out thanks to a leaked presentation. The device purportedly has a slim quad-core, an improved camera and its aluminium body appears to be splashproof. It looks like it'll run on at least Android 4.0 and cost between $449.99 (around £300) and $649.99 (£420). Though this device may not be the next tab from Sony, all signs point to the very distinct possibility the rumors are true.